14-17 roughly nine ounce 3" portions (Approx. 10lbs total). 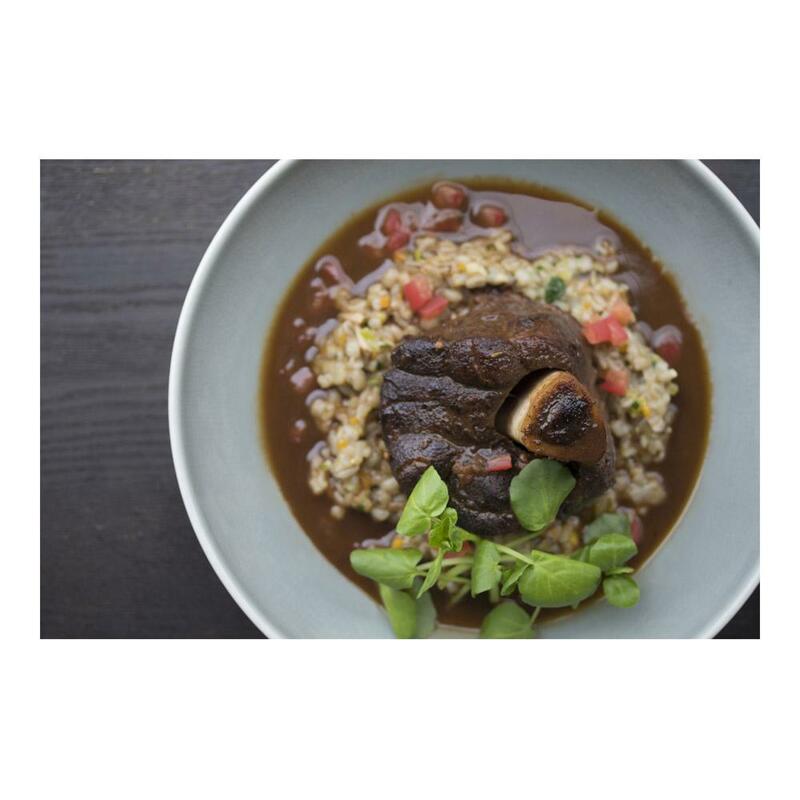 Venison osso bucco is a low cost cut (relative to other parts of the deer) that consists of a disc of meat & bone cut horizontally from the shank (leg). Because leg muscles do a lot of work during the animal’s life time, shank meat offers great flavor but is too dense for fast cooking methods like sautéing, frying, or grilling. However, what makes osso bucco special is that the shank and leg bone are naturally high in gelatin, perfect for slow braising in a flavorful liquid. As the meat cooks it becomes rich and fork-tender, and all of that gelatin dissolves into the sauce, giving it body and a silky, decadent mouth feel. Although delicious year round, braising cuts like osso bucco are a particularly good choice for shaking off winter chills and doldrums. 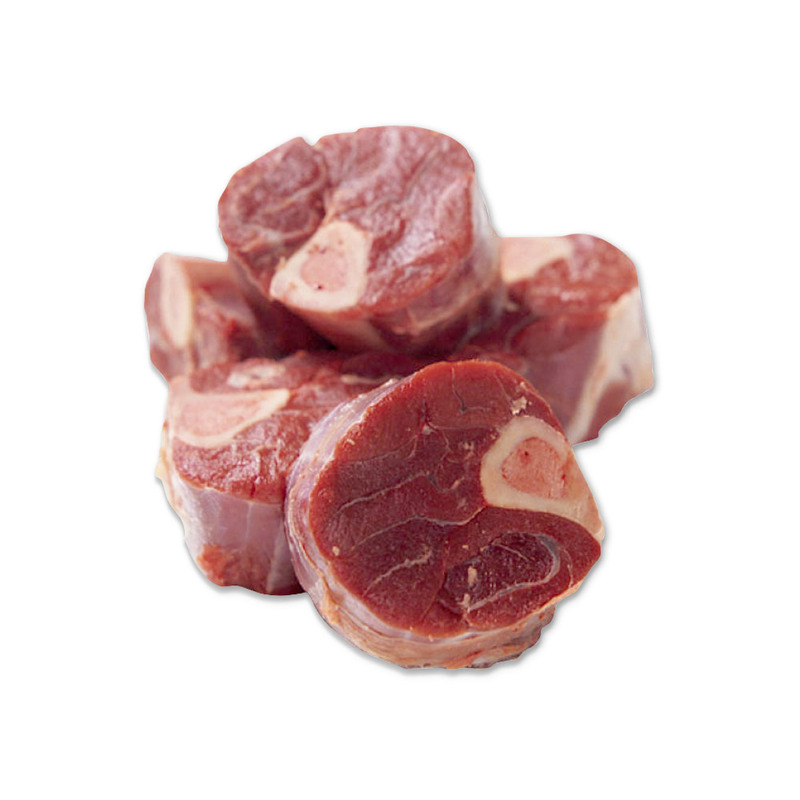 Store venison osso bucco portions in your freezer until you're ready to use them, then thaw only as many as you need. Venison osso bucco is best used as a slow-braising cut. The pieces are typically seasoned, seared to develop a brown crust, and then slow-braised on the stovetop or in the oven in a braising liquid until fork-tender. Braising liquids used for venison can include fruit (often dried) like apples, pears, or cherries. Other flavoring options include dried wild mushrooms, juniper berries, thyme, rosemary, veal stock and red wine. Sweet potatoes, polenta, and risotto make good starch pairings.